Allan Cole isn't just knocking on wood when he talks about the fishing plug he invented. When it comes to monster fish such as largemouth bass, striped bass, lake trout, brown trout and muskies, the A.C. Plug has no real rival - only imitators. 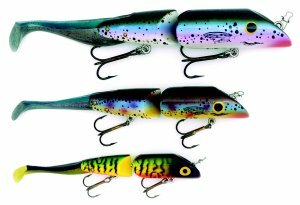 Consider this: The A.C. Plug, developed by Cole over the past decade and now manufactured and marketed by Luhr Jensen, has caught more trophy size largemouth and striped bass than any other lure. Cole's "oversized plugs put trophy fish in the boat," proclaims Seattle-based Fishing & Hunting News' Gear Guide 2000. "Need proof? Take a look at the catch records from California's best bass waters over the last decade and you'll see. No lure has caught more 10-pounders than Cole's plug...the A. C. Plug pulls them in." When it comes to stripers, the A.C. Plug is peerless. It owns the record book. The lure has been credited with catching dozens of lunkers over 40 pounds, including the 67.1-pounder caught by Jeff Smith on the Colorado River that claimed the Freshwater Fishing Hall of Fame World Record and Herman Britz's 60-pounder that shattered the Nevada state record. 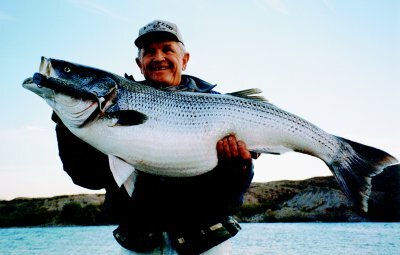 Three world line-class records - for largemouth, stripers and lake trout - also belong to the A.C. Plug. While the larger sized A.C. Plugs have won acclaim as deadly fare for huge bass, lakers, browns and muskies, smaller versions of the plug are just as effective for smaller-sized members of those and other species such as walleye, smallmouth bass, pike, rainbow trout, tiger muskies, and many ocean species including redfish, speckled trout and yellowtail. "There is not another lure company on the market that can honestly say they have a lure that catches as many big fish," notes California angling expert Bart Crabb, author of "The Quest for World Record Bass". "While it entices a lot of big fish, it also produces a lot of small ones as well." The A.C. Plug comes in four sizes - 5-, 7-, 9- and the whopping 12-inch. Luhr Jensen of Hood River, Oregon makes the three smaller sizes, while Cole continues to produce the homemade 12-incher. The plugs are protected by U.S. patent. Their articulated body sections are constructed using action-giving wood and connected with heavy-duty screw-eyes. They are currently available in seven color patterns (see photo below). These lures can be cast and retrieved or trolled, with best results at slower speeds. Either way, their lifelike action is irresistible to mega-sized monsters on the prowl for an easy meal. Here's Georgia Outdoor Review writer Daryl Kirby's description of an A.C. Plug he used to catch a big striper on the Chattahoochee River: "The plug plowed about 18 inches below the surface and began its tantalizing side-to-side, broken-backed wiggle that looks amazing like a low-I.Q. rainbow trout swimming slowly." To sum it up, the philosophy behind the A.C. Plug's design, size and unparalleled success as a giant killer is simple: "Big lures work best for catching the biggest fish". "There've been so many copies made of my plug," says Cole. "That's another reason why I think it's so great. They don't copy other lures...lures that don't catch fish. They copy this one." WHY THE A.C. PLUG WORKS! It's simple, really. The plug's patented design makes it perform more like an actual wounded fish than other big lures. "Most fish are predators, looking for a meal," explains Allan Cole, the plug's inventor. "They see the A.C. Plug and think that it's wounded - or at least has a low I.Q. - and BAM, that's the one they drill on!" The A.C. Plug's large size, combined with its lifelike action is the other reason it catches so many large fish when other lures fail. Lunker-size fish are smart. That's why they reach lunker proportions. And, a LARGE wounded baitfish, which only the A.C. Plug so deftly resembles in the water, is irresistible to much larger, healthier fish. Think about it. If you're big, hungry and don't have any table manners, what are you going to go for first - a full-course meal, or a cucumber sandwich? The A.C. Plug, make no mistake, IS the T-Bone/Baked Potato of fishing plugs. The A.C. Plug is a super-effective lure either trolled or cast. With either technique, remember that patience is a virtue. "When trolling, the A.C. Plug works better at a slower pace," advises Allan Cole, the lure's designer. "At a trolling speed of 1 mph to 3 mph - with the optimum range being 1.5 to 2.5 mph - the A.C. Plug's wobbling, swimming action is excellent." When trolling at a speed of 1.5 to 2.5 mph, the plug will zigzag along somewhat methodically, and the plastic tail will give off lunker-attracting thrashing action. As the speed of the troll increases, however, that tail action will be reduced, while the plug itself will dart around erratically. Trolling depth depends on what species of fish you're after and where you're fishing. The important thing to remember is that the A.C. Plug will catch nearly all species of fish at nearly all depths. For example, it's taken trophy striped bass at a depth of 40 ft. at Beaver Lake in Arkansas, and largemouth bass on the surface at Lake Casitas, Castaic and many others. Also, It's taken German browns by flatlining at a depth of 5 ft. and lake trout using wire line at 45 ft. in Utah's Flaming Gorge. A.C. Plugs can also be fished with colored leaded line and are super-effective when fished with downriggers. For trolling, we recommend a stiff-action 6-foot rod. For throwing the A.C. Plug, you'll get best results using a 7- to 9-foot, medium action rod. When casting, a slow to medium retrieve works. However, there are exceptions to any rule, and "some guys will catch lots of fish with a fast retrieve," Cole acknowledges. When fishing for huge striped bass on the Colorado River southeast of Las Vegas, Nevada, Cole likes to drift his boat through striper holding areas, making long casts with 12-inch and 9-inch A.C. Plugs near the shore and around structure bordering deep water. After he casts, he starts a slow retrieve that keeps the plug either on the surface or just below it. While Cole favors a steady type of retrieve, others have found best results using herky-jerky and stop-and-go retrieves. Throwing and trolling smaller 5- and 7-inch sizes of the A.C. Plug into shoreline and around structure such as tree stumps is proving to be one of the best ways to nail big brown trout in such blue-ribbon waters as Oregon's East Lake and Wikiup Reservoir. When casting the 9-inch and 12-inch A.C. plugs, we recommend using 20- to 30-lb. monofilament. For the 5- and 7-inch models, you'll usually get best results with 8- to 15-lb. test. For attaching the line to the lure, Cole prefers a cross lock snap with no swivel, and says that a large split ring will also work. "What it boils down to is simply this: The A.C. Plug has proven to be the most bass catchin' lure of all time." 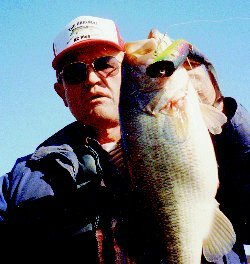 Bart Crabb, "The Quest for World Record Bass"
Allan Cole and his A.C. Plug "changed the way people fish for bass. People saw those huge lures of his and said, 'no way will they work.' They did work, and instantly there was a following of fishermen using big plugs"
"A big bait is the best way to catch a big bass...A.C. Plug is making a big splash. In fact, Allan Cole (originator of the lure) caught a 17-pound, 4-ounce bass on the A.C. plug last year from Castaic Lake in Southern California that may just be the largest bass landed in the nation last year. "Outrageously large yet undeniably effective on giant bass, probably because of their super-erratic swimming action and 'full-meal size'. "Many monsters have fallen to his (Allan Cole's) deadly creations. 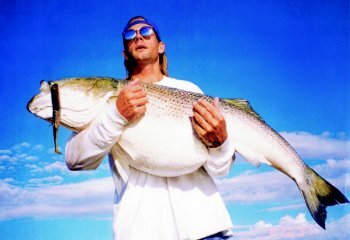 Last time we spoke he had 12 fish (striped bass) over 40 pounds, including two over 50 and a couple 48s." "There has never been anything like the A.C. Plug before or since. While it entices a lot of big fish, it also produces a lot of small ones as well...There is not another lure company on the market (besides Luhr Jensen & Sons) that can honestly say they have THE LURE that catches big fish." E-mail us with the above request. 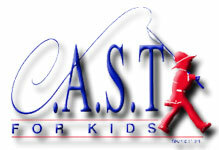 Charges will be $5 with $3 credited to your first order of $20 or more. (include your Visa or MasterCard number and exp. date). send $5 ($3 credited to your first order of $20 or more) along with your name and address to: Luhr Jensen Customer Service, P.O. Box 297, Hood River, OR.